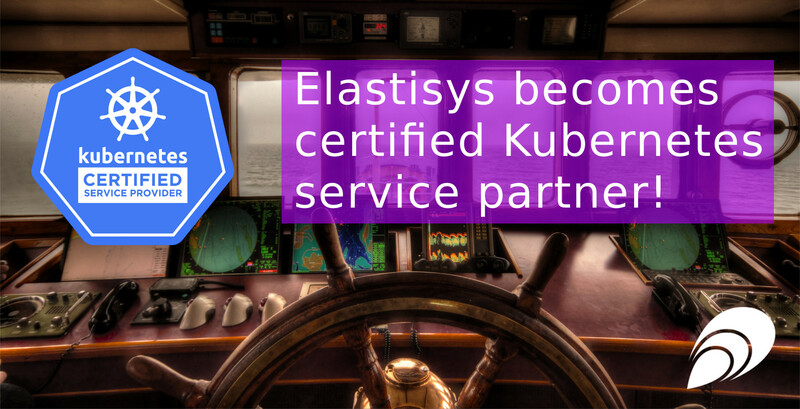 Elastisys becomes certified Kubernetes service partner! Posted on October 23, 2018 at 11:18. Elastisys is proud to announce our promotion to certified Kubernetes service partner (KCSP)! With this, we join a selected group of vetted providers with deep Kubernetes expertize and track record of successful customer adoption. There are currently less than 70 CKSP partners globally. – This certification is the result of our strong commitment to Kubernetes and the cloud native ecosystem, says Robert Winter, Elastisys CEO. We are happy that our extensive work with Kubernetes and contributions to the project are recognized. Our engineers are certified in Kubernetes. We help our customers on their Kubernetes journeys and we offer Kubernetes training. We also give talks about Kubernetes at tech conferences, various meetups, and for university students and IT professionals. Finally, we make extensive use of Kubernetes in our solutions. In fact, this very web site is hosted in a Kubernetes cluster. To learn more about how Elastisys can help your Kubernetes adoption, see our services offer and our training. You can also check out our open source tools and solutions for Kubernetes on our github. For example, we simplify the setup of highly available Kubernetes clusters. Our HA kube installer can run on-premise and in the cloud. The Elastisys kube-insight manifests simplifies the installation of recommended cloud native tools for Kubernetes observability. Follow us on LinkedIn for more posts like this!